In short, I decided to commit my time and contribute my skills to the IYF because of the vision and mission of IYF itself. 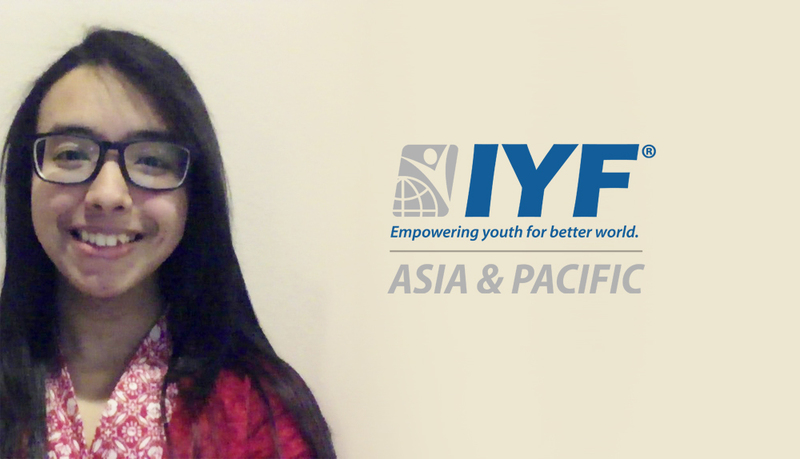 IYF empowers young people from around to the world to take action and shape our sustainable world. I love the ambition IYF has for creating impact and working together with UN leaders to achieve sustainable development goals. It’s not just that I ‘m inspired by the mission & vision, but also because I realize how important it is for young people, as the next generation, to dedicate their time and energy to doing something great for our world. In addition, it’s epic to be part of a community where people share the same interest as you! It all started during my second job at an international NGO in Malaysia. I was in charge of a few different types of projects, starting with providing education for kids from the rural area, sheltering the refugees in Malaysia, creating training for teachers to overcome obstacles in education in the 21st century, etc. Before that, I was working as project management & communications specialist. That experience helped me realize that the problems we have in our world are more complicated than I thought! What’s more, they are more complex than what had been shown by the media. I’m one of the lucky people out there who have the privilege to pursue higher education, but there are a lot of people who are unlucky. I’ve learned that education doesn’t give us just knowledge; we’re also given a tool to help others. This got me thinking about what I can offer to the world. In 2015, I finally made a commitment to spending my savings at least once or twice per year to go to certain places and teach the less unfortunate children. I’m fully involved in everything starting with researching the place, drafting proposals for local schools, contacting my local friends to see if any of them wants to help me deliver the project, and executing the project. I’m really happy that I’m finally able to do this and, so far, I’ve taught in five different places; I’ve been to Sarawak(Malaysia), Ubud(Indonesia), Majene(Indonesia), Sleman(Indonesia), and Kakrail(Bangladesh). To me, this question is not just for directors but all leaders! Good leaders are the ones who let people lead. I believe that a good leader doesn’t control but guides their peers. A good leader should be able to communicate effectively with their team, think critically and independently, be open to criticism, be ready to get their hands dirty to satisfy their team’s needs, and be there any time they’re needed. On top of these, good leaders are the ones who others’ needs before their own and tailor other people in order to become a leader as well. I’m trying to put what I said into practice every day. We inspire each other. Their enthusiasm has always inspired me. What I would like to do is encourage them to think independently so, someday, they’ll be able to work under minimum supervision. I constantly remind them to forget about our job titles here at the IYF. I always tell them that I might be their Director but that’s just a title; we are all the same, work for the same purpose and vision, and share the same goals. Someone’s problem is everybody's problem. For sure, maintaining good communication between team members and putting their needs before mine are two things I’m trying to practice every single day. Undoubtedly, number 4 for quality education. Not just because I’m passionate about making education accessible to everyone, but also because of the importance and meaning of education itself. To quote Nelson Mandela, education is the weapon to change the world -- I couldn’t agree more. There are 17 SDGs and let’s say if we achieve this one goal, we can solve most of the problems. With education, we can end poverty and hunger, people can have a decent job to support economic growth, we will become more innovative, etc. With a proper education system, we can empower people and teach them about gender equality, peace and justice, etc. But of course, the type of education that I’m talking about here is beyond the teaching-learning cycle. I want to see that more and more children have the right to education, regardless of their economic background. I wish to see educators that are good and passionate; educators who will teach students about the importance of caring not only for themselves, but also for other people and the environment; educators who will allow students to make mistakes and who will allow them to have their own perspective and only encourage to perfect themselves, not to follow in other people's footsteps. Are you dedicated to helping country members grow during your tenure? Yes! This has been an important part of my commitment from the second I became a Regional Director. It’s my duty to make sure any tasks related to APAC are on track. We keep doing our best to hire the best talents across APAC countries. It is proven by how selective we are when it comes to hiring new talents since we usually have up to 4 rounds of interviewx just to make sure they’re the ones we are looking for. The team and I understand that a good candidate should know their main country’s issues and be critical enough to propose solutions as well as actions / initiatives they have done in the past. For me, performance means improvement. It is not necessarily about hitting the KPI or target, but simply being better than yesterday. I’m not really into perfect results; I care more about the effort. I believe our best is always enough. We’ll continue to look for the best talents in the APAC region. Our main focus right now is to exchange knowledge about current issues in the region and each member will share their knowledge on the IYF blog. 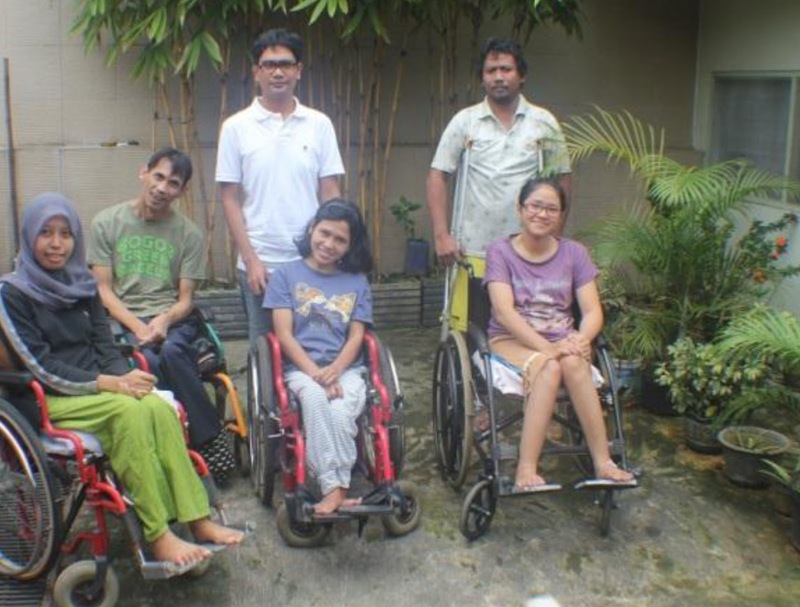 We do not want to keep the stories to ourselves (APAC), we want everyone in the IYF to hear them too. We are doing SDGs-related survey at the moment, where each country member distributes the survey to their community to find out which SDG young people care about the most. We also hope for more open communication and collaboration between country members and the IYF secretariat. In short, a sharing platform for youth across the globe. A platform for us to see that the sky is really the limit and everyone is within our reach. Because we’re part of them and they’re part of us. We empower youth to realize that the future of our world is in our hands. But we can’t achieve it alone. Thus, we need more and more young people to keep an eye on IYF and join us to transform our dream into reality.